1. 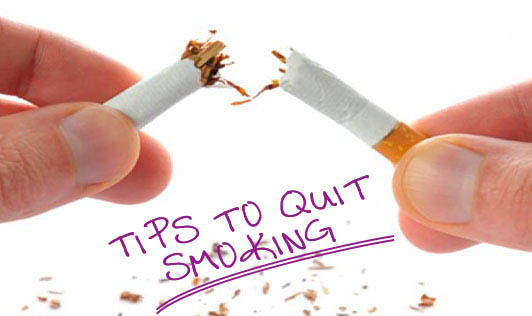 Make a list of reasons of why you should quit smoking. 2. Take support from family, friends and counselors to achieve the goal. 3. Identify your triggers; find out which activities you link with smoking and avoid them. 4. Develop alternate coping strategies to deal with stress like deep breathing. 5. Change your routines like go for a walk after meals instead of having a cigarette. 6. Constantly remind yourself of being a non-smoker. 7. Refuse cigarette offers. Do not yield to pressure and accept. 8. Chew gum, sugar free candies or have a low fat low sugar snack when having a craving. Drink lots of water and nutritious beverages. 9. Medications when used correctly can help you stop smoking and lessen the urge to smoke. 10. Every time you overcome the urge to smoke, congratulate and reward yourself.